Rossmoor is a large un-incorported community of about 3500 homes located in Northwest Orange County, California. There is a Rossmoor Homeowner's Association which is voluntary to join for about $20 a year and does community service functions and has no jurisdiction over what color you paint your house etc. 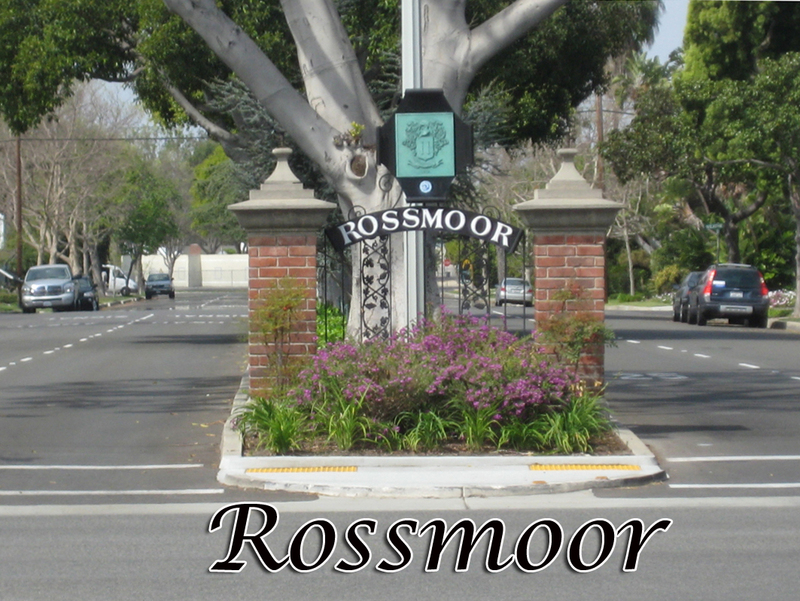 The Rossmoor Community Services District was created to get the communities own tax dollars back from taxes paid to the County to contract their own services like tree trimming, street sweeping and servicing the neighborhood parks. After the start of the Los Alamitos Sugar Co. and founding of the town in 1897, the area was used for raising sugar beets and other crops. In the early 1950s, the growth of southern California and the need for housing became evident. Along came Ross Cortese, a young developer with a vision and the desire to build a large, exclusive community. This community of 3,500 homes was the largest yet to be built in Orange County. Cortese formed the Rossmoor Corporation in 1951, bought the land from the Fred Bixby Ranch Co., and began building in 1956. Rossmoor originally was announced as a subdivision of Los Alamitos. Later it was advertised as Long Beach's smartest new suburb, even though Long Beach was in neighboring Los Angeles County. By June of 1957 the first homeowners started to move in. Homes were priced between $17,000 and $20,000. The planning for the community included tree-lined streets, spacious yards, and well-planned quality homes. Land planning, as well as the layout of streets, was directed toward "neighborhood cells" to create maximum appeal, safety, and home values. The plan also included six school sites, two shopping centers, and a medical complex. 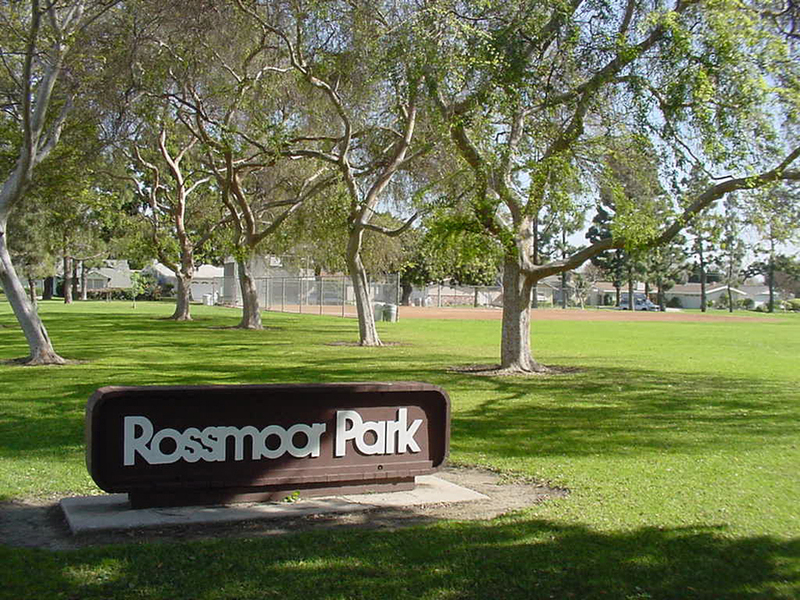 Tennis, baseball, softball, basketball, volleyball and soccer just to name a few are all available at Rossmoor Park. There are barbeques and picnic tables in the shade, playgrounds with swings and slides and climbing walls. The community room and kitchen may be reserved for private events. Rush Park provides a lovely place to have a family picnic, open grassy areas to play sports and a tot lot filled with exciting play equipment for the little children. If you are planning a special event or meeting you may want to reserve of one of the rooms in the Rush Park Auditorium. Montecito Center’s patio and courtyard create a serene area for you to enjoy your private gathering. Along with the quiet outdoors, two rooms plus a kitchenette provide a variety of ways to plan your meeting or event. For more information on Rossmoor CA visit the homeowners association website by clicking here. For the Rossmoor Community Services District website click here.